Singapore facilitated the return of railway related equipment, including tracks and ballast and the National Heritage Board stepped in to preserve the Tanjong Pagar station building. 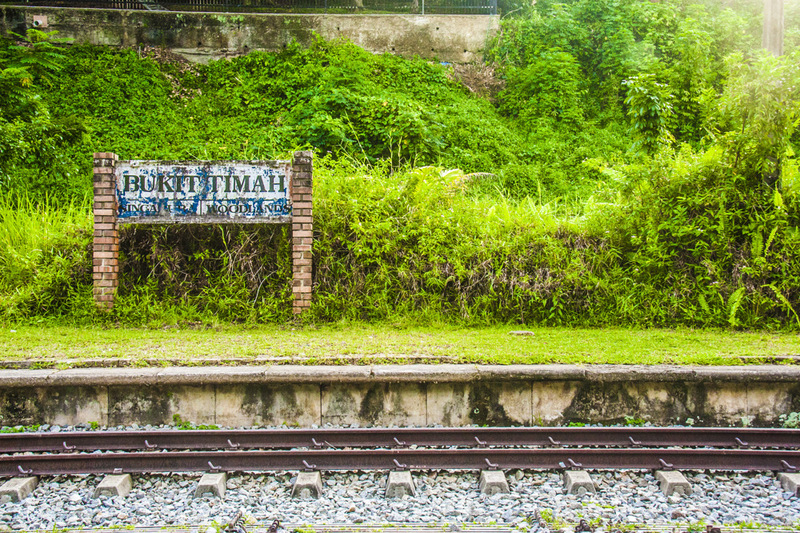 The Bukit Timah Railway Station building at an intermediate location is also being conserved (although it is no longer open to public). I suppose, in time, a tourist train service may start, Ayush. Ayush Basu: What I gather is that it will remain as a public space for cycling/jogging/dog walking and also for preserving the flora and fauna as it is currently, Ray. Ayush Basu: Thank you very much Peter, I think citizens are happy this is being conserved. Nicely shot. I like that lush greenery. Ayush Basu: Yes, it is lush all through the track, Michael. Ayush Basu: I think the idea is to let it remain as it is as long as it does pose a threat to public safety such as fallen branches/tree trunks after a storm, Chris. I have a feeling one day we'll wonder why we all didn't stay up with our infra-structures, Ayush (thinking about America right now!). Are there any plans to run trains? This place might see trains again in future...Fine capture Ayush. Ayush Basu: Thank you Richard. What I gather is that it will remain as a public space for cycling/jogging/dog walking and also for preserving the flora and fauna as it is currently, Richard. Does Singapore have its own writing? Something like cyrilics? Ayush Basu: Politically? Not a whole lot. Environmental and other such causes have better luck, I suppose. I do hope they manage to run trains again one day, if only for tourists. I like how the greenery is taking over! Ayush Basu: Some sections there are hardly any signs that a train used to pass by! Nature reclaiming what was once her's. I'm pleased to see that some track has been left. Very admirable given the high land values around this district! Maybe one day it might be reopened for the tourists? Great picture, love the lines and the wonderful green.